International Business Times — The Chinese stock market continued to tumble Monday, with losses in the billions and markets consequently plunging all over the world. 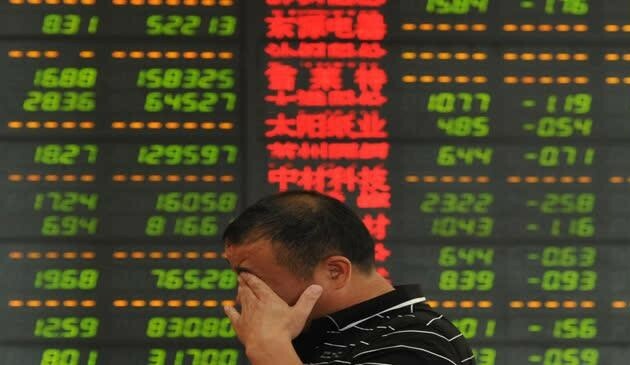 The Chinese stock market crash has been called “China’s Black Monday” by an official Beijing spokesperson, in reference to when global stock markets crashed in 1987, causing steep losses that took place over a matter of hours. “There are many, and legitimate, contributing factors to the global economic slowdown narrative,” Nigel Green, chief executive of the financial consulting firm deVere Group told Reuters. “These include China-related issues, such as the recent devaluation of its currency, the stock market’s boom and bust in recent months, and slower GDP growth,” he said. China’s crash did not happen overnight, even if the sharpest of its losses, with the market dropping 8.5 percent, happened over the course of Monday morning local time. In order to understand how China’s market crash came to be and what it will mean for the rest of the world, it is necessary to look at the events leading up to what is now being called China’s Black Monday. June 12: The Chinese stock market reached a record high following government intervention efforts made throughout the months of May and June. Stock prices began to slide downward in the days following, however, and continued to drop throughout the summer. July 4: The Chinese government suspended the sale of new stocks to stave off continuing losses, to little avail. July 31: The Shanghai Composite closed the month with a 15 percent decline, making it the worst month for the Chinese stock market since 2009. August 10: The People’s Bank of China devalued the currency of the yuan by almost 2 percent in an effort to respond to a recent economic slowdown in the country. Shares in Beijing began to drop almost immediately in the days following. August 18: Stock markets across Europe, in the U.S., and Australia began to see losses that would continue throughout the next four days. August 21: The Dow Jones Industrial Average sunk 531 points, closing with the worst losses since 2011. August 23: The Shanghai Composite plummeted 8.5 percent overnight, counting some of the worst losses in China’s stock market since 2007. August 24: “Black Monday” began as China’s markets opened to steep losses and analysts said they feared the crash would continue to damage the New York Stock Exchange and markets worldwide. Source — International Business Times!